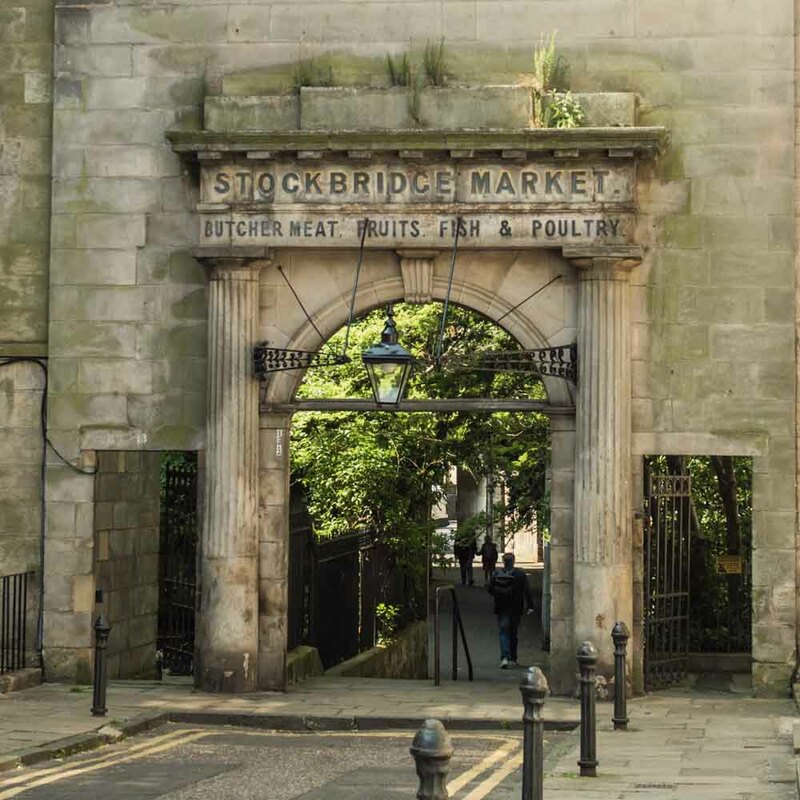 Stockbridge is renowned for its bustling high street, with numerous independent shops: eateries, boutiques, art galleries and high quality charity shops where you can dig for treasure. Each year Stockbridge hosts a community festival, StockFest, a week-long festival celebrating the village, and there is a Stockbridge Duck Race where hundreds line the bank to watch thousands of rubber ducks being released into the Water of Leith to raise money for local charities. 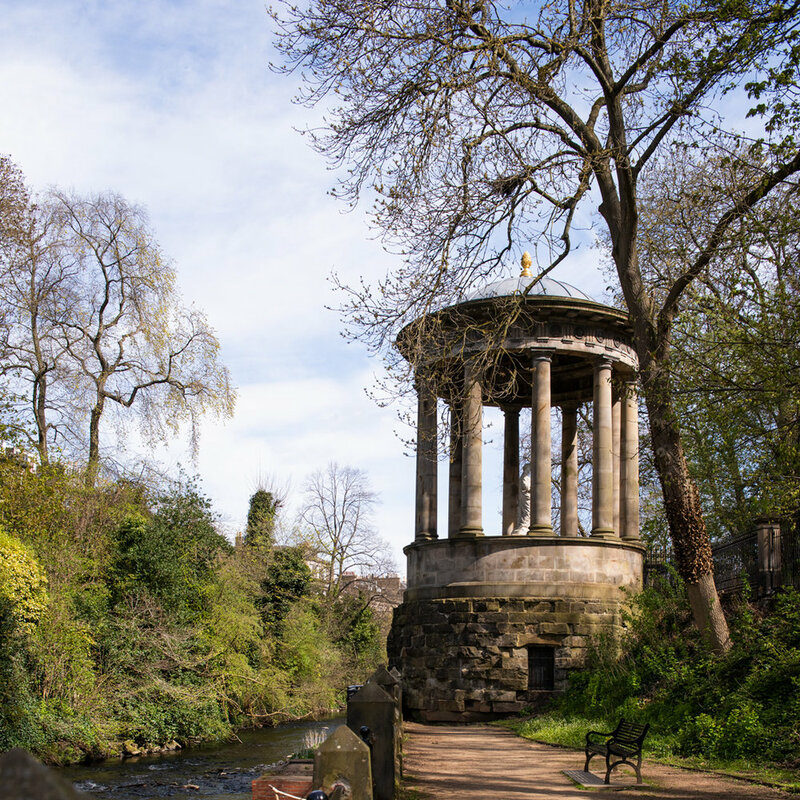 Another landmark worth taking a stroll for, is the St Bernard's Well, built in 1760, which sits on the south bank of the Water of Leith. Designed like a Greek temple supported by ten doric columns, centred with a statue meaning the 'Greek Goddess of Health', and if you follow the riverside path, you'll meander down to the picturesque Dean Village. The first ever international rugby match took place on Raeburn Place when the Edinburgh Academy sports ground hosted the game between Scotland and England in 1871. The Grange is just off Raeburn Place and is the home turf of the Scottish cricket team, and in 2018 hosted Scotland men's first ever defeat of the English side! The neighbourhood is also home to the Stockbridge Pipe Band, who are the current British, European and World Champions. The striking Saint Stephen's Church is a landmark on the eastern edge of Stockbridge, uniquely designed by William Playfair in 1827 and has the longest clock pendulum in Europe. The church stands the east of St Stephen Street, a curving Georgian street of inhabited basement and ground floor antique shops, bars and restaurants with a bohemian vibe. To the south is Circus Lane, integrating old mews and new buildings. The beautiful Royal Botanic Gardens border the north side. The 'Stockbridge Colonies' are eleven parallel streets next to the Water of Leith, built between 1861 and 1911 to provide low cost housing for the artisan class, but are now coveted properties, primarily due to their close proximity to the city centre, Royal Botanic Gardens and Inverleith Park, which are all lovely for a walk. The original Mrs. Doubtfire or 'Madame Doubtfire' lived and ran a rag and bone shop in Stockbridge. The novelist Anne Fine who also lived in the area was influenced by the name which remained faded above her shop (now a solicitors) many years after Madame Doubtfire's death. In turn, her novel was the inspiration for the film Mrs Doubtfire, although Robin William's character bears little similarity to the 'real' Madame Doubtfire. Stockbridge was also the where other celebrities grew up, including Shirley Manson. The original Stockbridge Market was active between 1823 and 1906. Greek Doric entranceways of the original building designed by Archibald Scott still remain on Hamilton Place and St Stephen's Place. Today there is a modern day 'Stockbridge Market', housing authentic food, drink and crafts. Stockbridge is derived from the Scots Stock Brig from Anglic stocc brycg meaning a timber bridge. The current "Stock Bridge" is a stone structure spanning the Water of Leith.